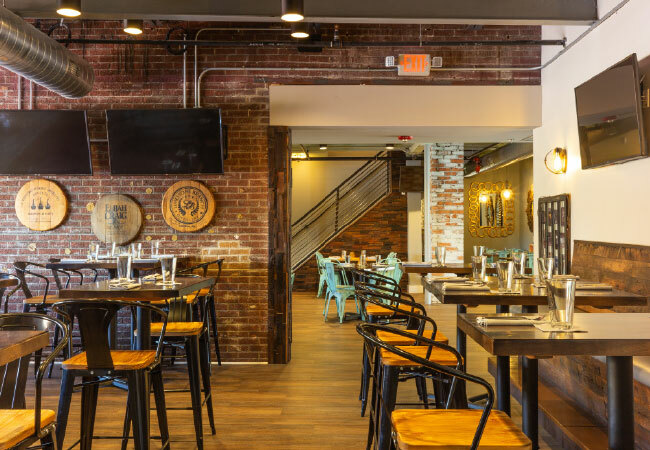 The recently reopened 80/20 @ Kaelin’s uses its historic past as a jumping off point for a reimagined dining, drinking and entertaining experience. Chris Fenton, Bill DuBourg and Matt Skaggs liked Muhammad Ali’s quote, “He who is not courageous enough to take risks will accomplish nothing in life,” so much that it propelled them to take a big risk. 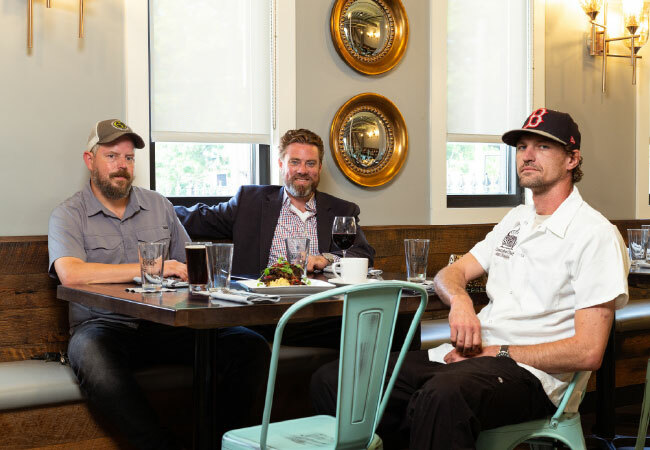 The trio, all with backgrounds in area restaurants and bars, took on the feat of reviving the former Kaelin’s Restaurant. They named it 80/20 @ Kaelin’s, a nod to the lean-to-fat ratio in the beef they grind in-house. “The cheeseburger was invented at Kaelin’s and the origins of KFC were at the restaurant that had been in existence for 78 years. Colonel Sanders cooked his famous chicken here. In my opinion, there’s nothing more Americana than cheeseburgers and fried chicken,” says Fenton, who after some research discovered that the space housed Crawford’s Saloon before it became Kaelin’s. 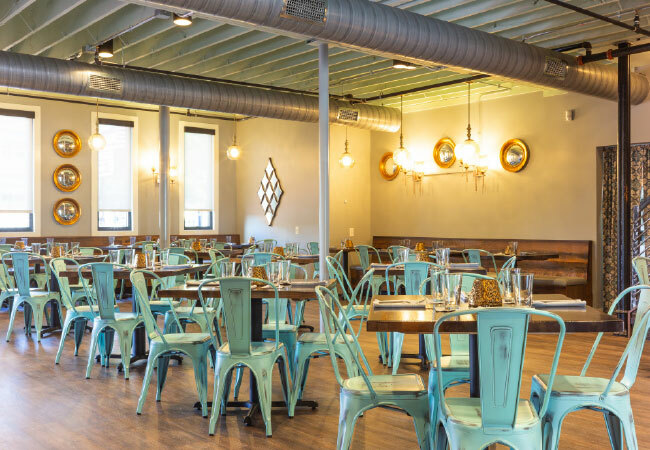 Because they’re as nostalgic about the old Kaelin’s as are its customers who recall the restaurant’s glory days, Fenton and his partners repurposed many of the materials saved during the demolition of the original space. 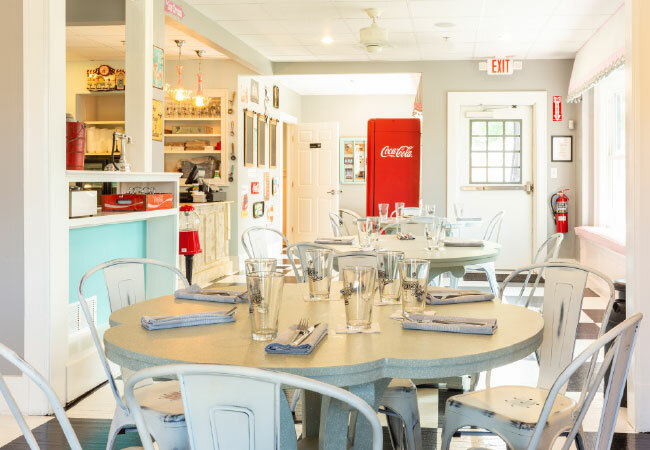 80/20 @ Kaelin’s has an ice cream parlor that kids will think is too good to be true. “The space is enclosed so parents can sit at the bar and have a glass of wine and give Johnny five bucks and say, ‘Come get us if you need us,’” says Fenton. A chef will be on hand to teach the kids to cook at parties that are held in a new private dining room. An indoor/outdoor bar, with two large windows, has ten televisions and a street view of the bustling Highlands neighborhood. The main dining room steps up the elegance quotient. Seating 120 people, the patio is outfitted with porch swings, rocking chairs, picnic tables and additional seating. In the atrium is a host stand that’s made from one of Colonel Sanders’ breading tables. “The piece should be in the Smithsonian but I was lucky enough to retain it,” says Fenton. 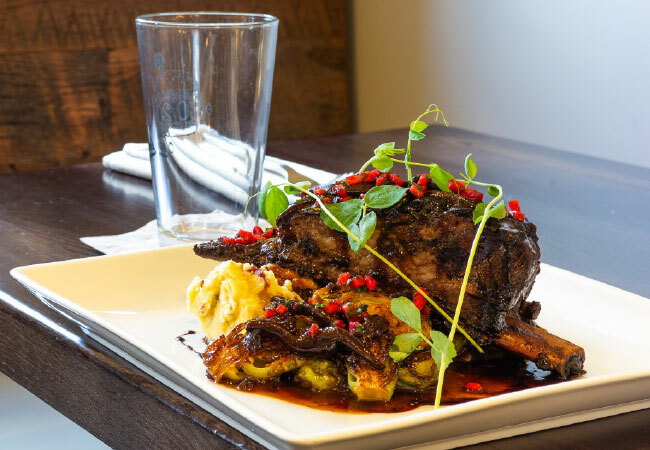 The menu is steeped with classic Kentucky dishes and interweaves plenty of surprises. Start off a meal with grilled corn and jalapeño hushpuppies or lollipop drumsticks while you face the conundrum of what to order for an entrée. Among your choices are a selection of burgers, prawn and crab cakes, short rib dinners and sweet tea-brined pork chops. Pair your main course with sides of grilled succotash, five cheese macaroni, collard greens and charred Brussels sprouts. Here’s a hearty welcome back to a Louisville culinary landmark, reimagined in delicious new fashion.